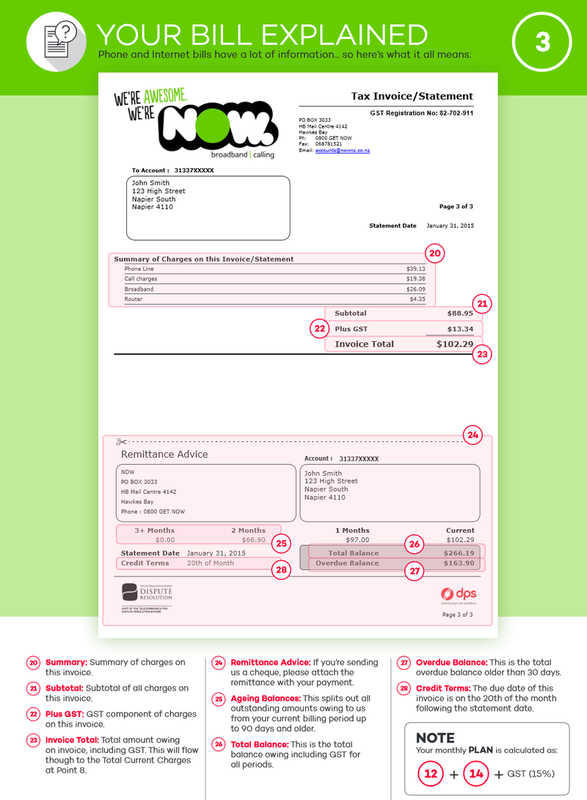 There's heaps of information on your NOW bill, which may seem daunting at first. 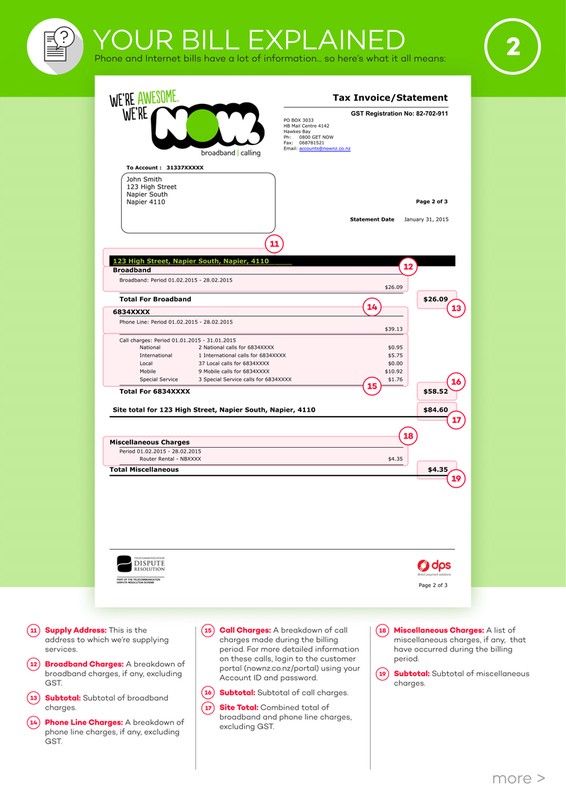 You'll find all your usage records here, so you know exactly what you're being billed for. 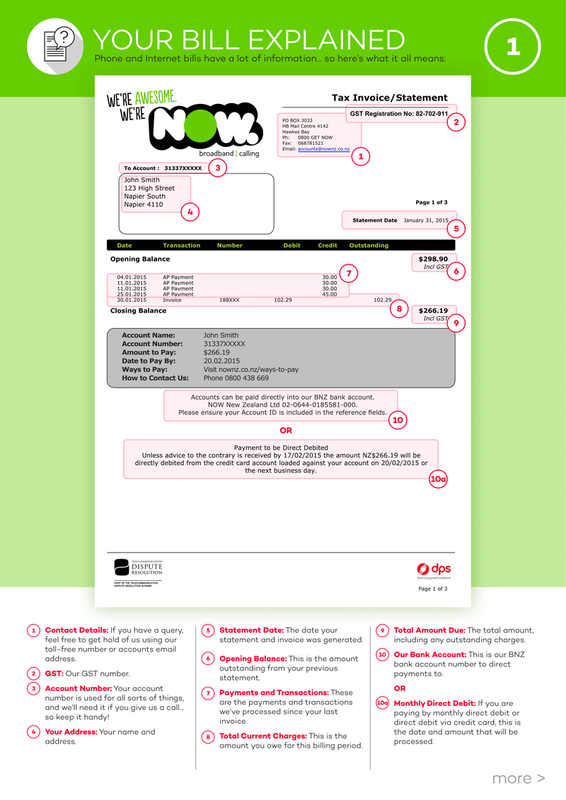 If you're confused, find our bill explained guide below. Or download a copy here. Don't forget, we'd be happy to take you through your bill either over the phone, or in person at our Ahuriri customer hub.